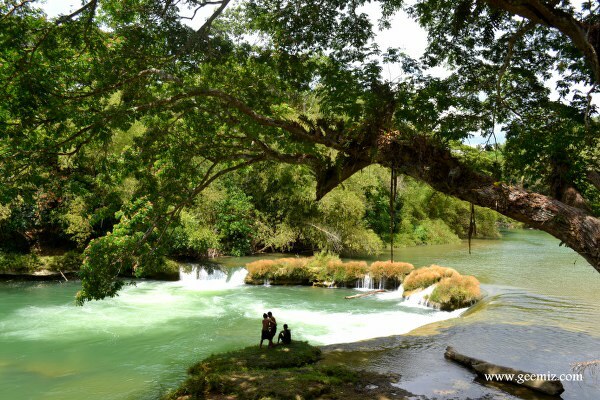 Bilar is an interior town northeast of Loboc which is considered as a 5th class municipality. 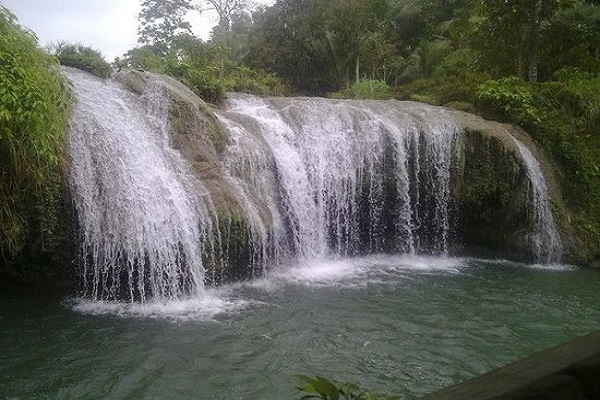 It is situated 40.9 kilometers from Tagbilaran and is reached from Loboc through the zigzag road often called by the locals as “tina-i sa manok”. According to the 2007 census, the town has a population of 17,078 people in 2,967 households spread over an area of 13,315 hectares. 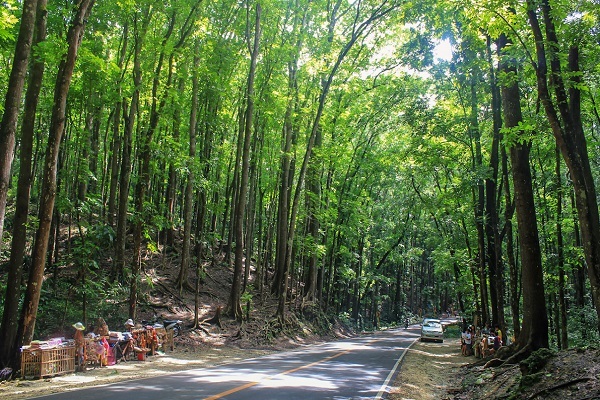 Bilar has a total forested area of 6,221 hectares which is 46% of the total land area. 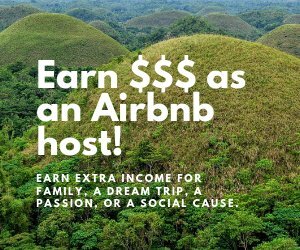 It has been declared a National Park and is part of the Rajah Sikatuna Protected Landscape which also covers forested areas of the towns of Valencia, Carmen, Sierra Bullones, Garcia Hernandez, Dimiao and Batuan. It is now a favorite birding destination in Bohol. The town is politically subdivided into 19 barangays: Bonifacio, Bugang Norte, Bugang Sur, Cabacnitan (Magsaysay), Cambigsi, Campagao, Cansumbol, Dagohoy, Owac, Poblacion, Quezon, Riverside, Rizal, Roxas, Subayon, Villa Aurora, Villa Suerte, Yanaya and Zamora. The term "bilar" is a native word from the infinitive nagbilad". During the Spanish regime, the Spaniards, in their effort to spread Christianity, toured the interior villages and somehow chanced to pass a plateau where a group of women were drying palay. When the women were asked as to the name of the place, the immediate reply was "nagbilad", meaning drying, thinking that the foreigners were asking their activity. The Spaniards shorten the term to "bilad" and later on to "bilar" due to the difficulty in pronouncing the term. By virtue of a royal decree, the name Bilar was adopted as the official name of the municipality. Bilar was organized as a municipality in 1830 and the name Bilar was adopted and officially recorded. 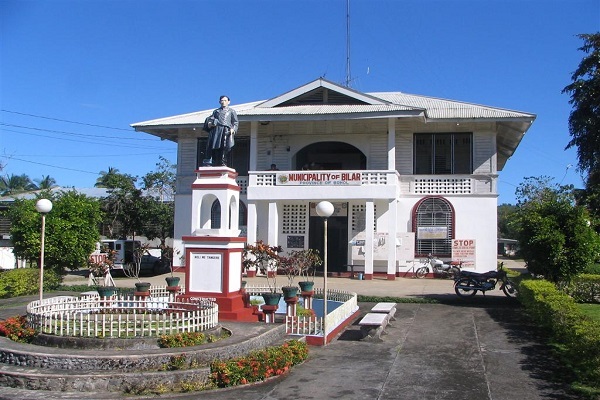 The town once included the municipalities of Sevilla, Batuan and Carmen which were sitios then of Bilar town. The Roman Catholic Church, constructed in 1870, is the oldest structure existing in the town. The church was dedicated to Saint Isidore and celebrates its feast day on May 15. In 1879, the population rose to 5,669. The people of the town of Bilar were into rice farming, herding and lumbering during the Spanish Regime. They were also into livestock raising; raising cows, horses, goats, pigs and chickens. The early settlers built rice paddies and terraces which produced good harvests twice a year. It was not long and the town became prosperous because of these industries. Bilar town was a painful witness to the onset and end of the Spanish-American War. The seat of the Military government of Bohol during this time was at Sitio Cambaliga, which is a part of Cambigsi in Bilar. The fort was situated on a hill and is now referred to as the Valmoria Hill in memory of Valmoria, a brave commander. The town of Bilar suffered much more during the Japanese occupation. There was wanton cutting down of trees and the forests were destroyed through burning. Much of their natural resources were destroyed. Through the years, Bilar evolved into a prosperous town with its major industries centered on rice and corn farming. Forests, once depleted, were re-forested and a portion totally man-made and planted with mahogany trees. The irrigation system was developed and better methods of farming were adopted which increased tremendously the yield of rice and corn products. It is now home to the main campus of CVSCAFT (Central Visayas State College of Agriculture, Forestry and Technology ) offering technical courses with major emphasis on agriculture. 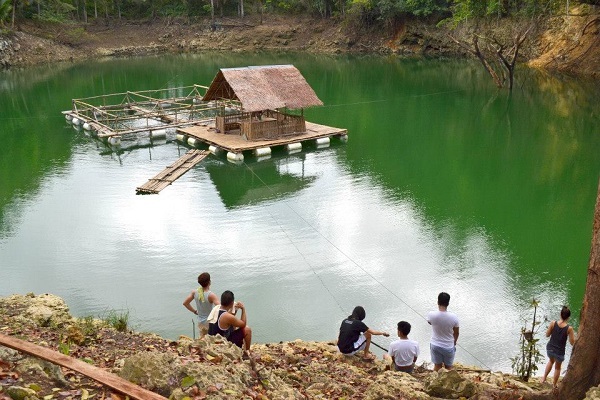 Now declared as the eco-tourism center of Bohol, Bilar’s natural resources have been developed and others still in the stage of developing. 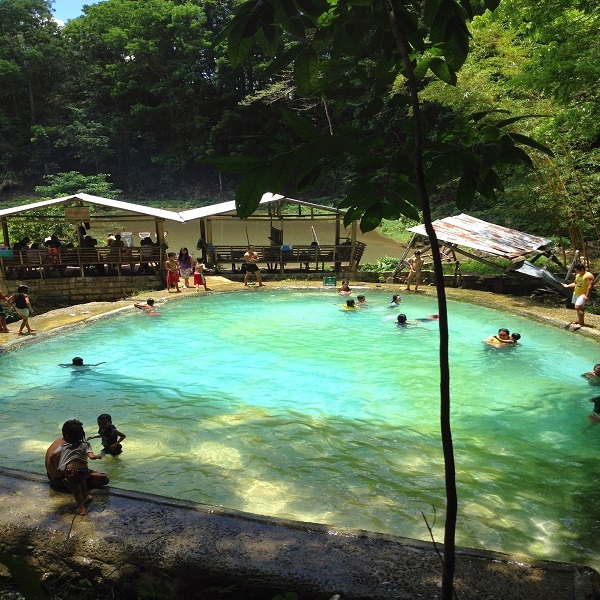 Interesting spots which attract tourists are the Quezon Plaza, Valmoria Hill, Logarita Spring and Pool, the Regional Girl Scout Campsite at Riverside, the Regional Boy Scout Campsite at Karajan, among others. 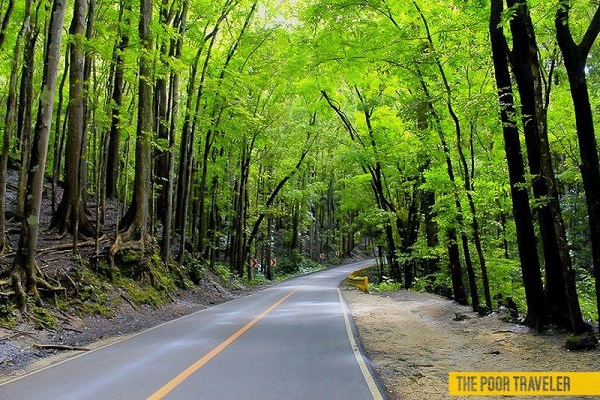 The mahogany man-made forest that one passes on the way from Loboc now attracts more tourists. The Rajah Sikatuna National Park now renamed as the Rajah Sikatuna Protected Landscape has been developed and a favorite haunt of birders and eco-groups. To add to its attractions is the butterfly sanctuary run by Simply Butterflies Conservation Center.